Mayweather’s fans/advocates claim that Floyd can adapt to any style. They believe there is no style in existence which Mayweather hasn’t seen or can’t adapt to. Floyd’s haters/detractors say Mayweather has avoided prime fighters who had the required style to beat him. They think he ducked Pacquiao and cherry picks his opponents. Is either side correct? And more importantly, with the big fight between Canelo and Mayweather just days away, does Alvarez have the style to beat the best boxer in the world? Everyone knows the old boxing adage that “styles make fights” and so far Mayweather has beaten every style put before him. But “styles” can be stubborn things sometimes. Sometimes experts and fans don’t know if a “style” makes a fight until after a fight is made and they are surprised by its shocking result. Unexpected outcomes happen all the time in boxing, and sometimes it’s not just about styles but also the particular toolkit of a given fighter employing a certain style. There is no blueprint to beat Floyd Mayweather Jr. Some may quibble that Castillo showed a basic blueprint design on how to beat Floyd but that’s nonsense. Mayweather was genuinely injured during that fight and he subsequently outclassed Castillo in their rematch. That wasn’t so much a style thing as an off night with circumstances shifting the balance of natural order. That happens. This is boxing. That’s why no one is invincible and any man can lose. I don’t think Canelo is going to beat Mayweather, but not because he doesn’t have the style to beat Floyd. His style, at least in theory, is fine for Floyd. He’s a patient counter puncher who is also capable of applying pressure. He can fight in explosive spurts and has very good timing with his punches. He is also able to go to the body and put nice combinations together. But most importantly, Canelo is a smart fighter himself who can make adjustments, disrupt the rhythm of his opponent, and lure guys into unsuspecting traps. That is a style that can conceivably have success against Floyd. But does Canelo have the proper toolkit to execute that style and be successful against Mayweather? What Canelo is lacking isn’t about a particular style. What he’s missing is the additional power, elevated speed, and superior stamina required to effectively utilize his fighting style against Floyd. That doesn’t mean Alvarez can’t win. What Canelo’s lacking in tools he feasibly makes up for with his natural advantages in size and strength. He could time Floyd and end it. He could even maybe land against him frequently enough and with enough power to discourage Mayweather and legitimately win on points. But Alvarez probably comes up just a tad short in terms of what’s needed in speed, power, and stamina. Canelo being the only natural 154 pounder Floyd has fought is what makes this interesting. So even if Canelo doesn’t have the style to beat Mayweather, his toolkit could possibly still see him to victory. I just don’t think it will. Previous boxing news: Oscar De La Hoya voluntarily misses “The One” – a bizarre publicity stunt or a necessary urgent measure? 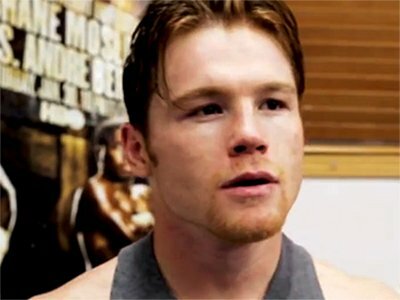 You are here: Home / Boxing News / Does Canelo Have the “Style” to Beat Mayweather?